Is TSB Stock Worth a Look? Morningstar's "Perspectives" series features investment insights from third-party contributors. Here, Jeremy Lang, manager of the Ardevora UK Income fund explains why he has bought Lloyds. I have not bought shares in a bank since my experience of watching Bradford & Bingley shares go down the pan in 2008. I thought I was buying a simple UK mortgage bank. I was wrong. I could not see it had entered into off balance sheet agreements to purchase a heap of US sub-prime loans, which subsequently went bad. Also, like most mortgage banks of the time, it was growing its mortgage book much faster than its deposit base and making up the difference via the securitisation markets. When these securitisation markets locked down in 2008, Bradford & Bingley ran out of cash. Not all banks went bust in 2008, mainly because governments stepped in. The surviving banks still have, in my view, all manner of risks lurking off balance sheet. For the foreseeable future, these banks cannot bring everything back into sight. This is why we treat the banking sector as intrinsically too risky to consider for investment. That’s my story, but from a behavioural point of view this approach is potentially biased. Academic literature on heuristics and biases suggests it is very easy to be anchored by experiences of traumatic events. It can lead to bias when the circumstances causing the traumatic event no longer hold. I, like many investors who were around in 2008, got badly burnt. My strong bias is never to trust a bank again. But this is a biased view. 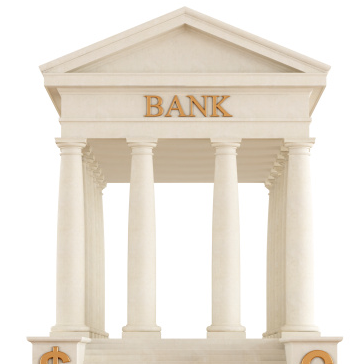 There is nothing intrinsically wrong with banks if these institutions are run in a sensible way. Indeed it is generally a very good, low risk way of making money as an enterprise. My bias is not to trust banks, as I could not see the what caused the blow ups – stuff not disclosed in the report and accounts, and in particular the balance sheet. If I could be convinced the balance sheet is now a fair representation of what a bank is doing, I should shed my aversion to banks. The trouble is, there are suggestions the amount of off balance sheet assets and liabilities accumulated by banks prior to 2008 was so huge the banking system cannot afford to bring them back ‘on’ the balance sheet for many years. When the TSB (TSB) prospectus, and its many hundreds of pages, recently hit my inbox my instinctive reaction was to hit ‘delete’. But having spent many years wrestling with psychology, judgment and bias I paused, gave the conscious, cognitive part of my brain time to engage, and then forced myself to take a look. What if TSB was a ‘clean’ bank – no legacy issues, no off balance sheet risks lurking? We are often attracted to stocks in industries where management behaviour is collectively cautious. This can happen when an entire industry ‘blows up’ and is forced to restructure. Then all the companies in the industry, once a period of management denial has passed, go through a long period of being capital constrained, coercing managers into unusually low-risk behaviour. Often, many companies will be in such a mess it can take years to resolve. The companies moving out of denial quickly, or were much more cautious to begin with, are revealed earlier. The airline, fixed line telecoms and steel industries are recent examples. Banking also fits this narrative. If you can really see the risks, find evidence management are running the business in a low-risk way, and see it is not crippled by its past mistakes, a bank ought to be interesting. Such thoughts motivated us to take a closer look at TSB. TSB is an unusual beast. Lloyds Bank (LLOY) took over Halifax, with heavy encouragement from the UK Government, in the depths of the 2008 financial crisis. Lloyds would have never been allowed to make such a move in normal times. It would have been deemed anti-competitive, given the large combined market share of UK banking. Subsequently the EU has looked at the deal and concluded it effectively represents state aid. Lloyds has been forced to hive off part of its banking franchise into a separate entity, hence TSB has been reborn. TSB is nominally the old TSB franchise, but in reality it is a representative slice of Lloyd’s branch network, a low risk mortgage loan book, plus another 160 C&G branches converted to full service bank branches. The loan book is about as low risk as you can get. It is funded almost completely by the deposit base that comes with the branch network. It has no off balance sheet risk, no legacy issues. On top of this Lloyds has agreed to provide the entire expensive IT infrastructure as a service for the first few years, and has underwritten the cost of setting up a replacement if TSB wants to severe its links with Lloyds in seven years. Lloyds has also injected enough surplus capital into TSB’s balance sheet to give it at least four years of double digit, fully funded growth. TSB is effectively a clean, start-up bank with a 600 plus ready-made branch network, a £25bn squeaky clean mortgage book, and a pile of cash to fund low-risk growth for the foreseeable future. TSB looks like an unusually low-risk business, which is in a position to capture unusually low-risk growth. We like investing businesses perceived as risky, but where a more objective analysis of risk suggests otherwise. TSB fits this description. The views contained herein are those of the author(s) and not necessarily those of Morningstar. If you are interested in Morningstar featuring your content on our website, please email submissions to UKEditorial@morningstar.com. Ardevora Asset Management is an independent equity house managing global and UK equity portfolios.